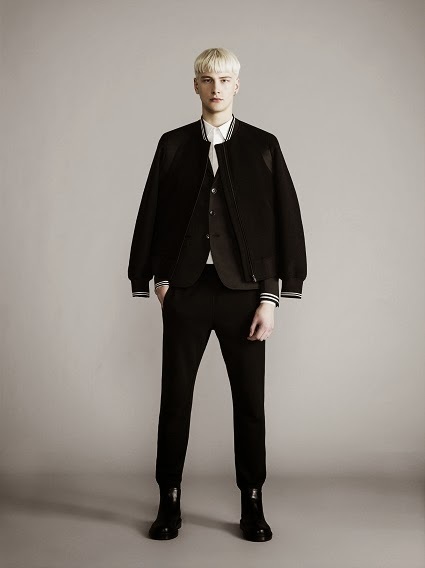 BLACKBARRETT AW2014/15 colection presents 3 design stories for the season. 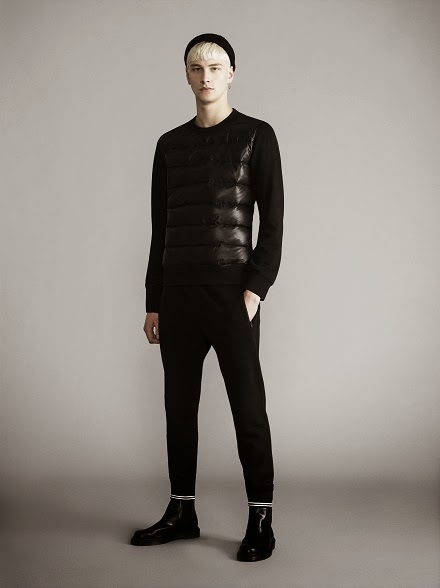 <Urban Eighties> comes in a range of feather weight “piumini” padded nylon outerwear and sweatshirts. 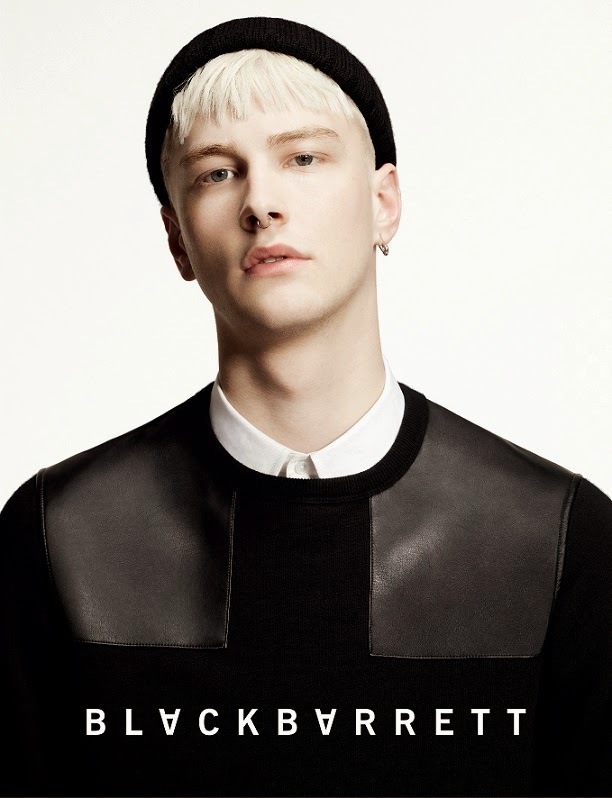 The collection features a range of masculine street style silhouettes that mirrors the style of the ‘80s popular band, Dexy’s Midnight Runners shoulder patches and saddle yokes; rubber prints and leather inserts; always black in authentic or modern fabric interpretations. 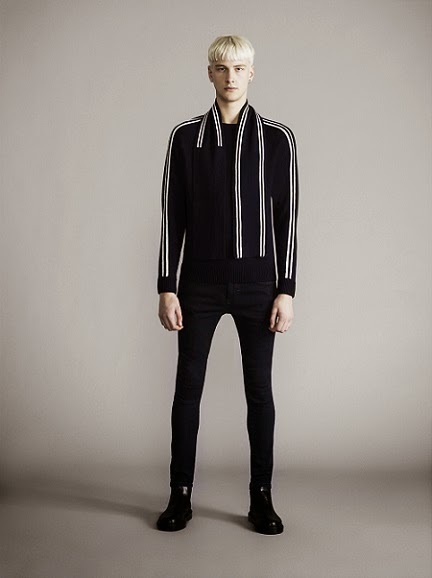 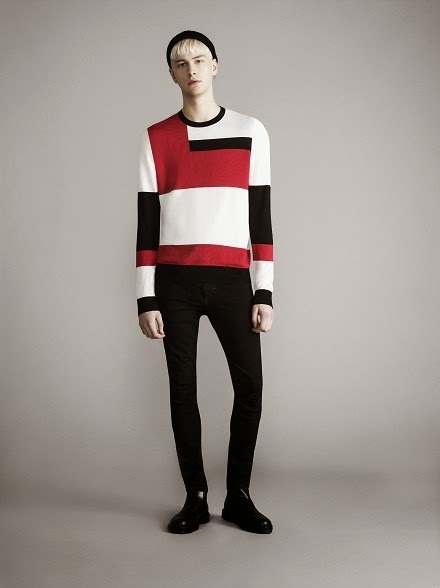 <Double Stripe> staying true to its uncluttered codes, it is a bi-colour story that focuses on two fine stripes engineered into each collection piece either as a subtle, sharp border detail or as an exaggerated and minimal graphic. 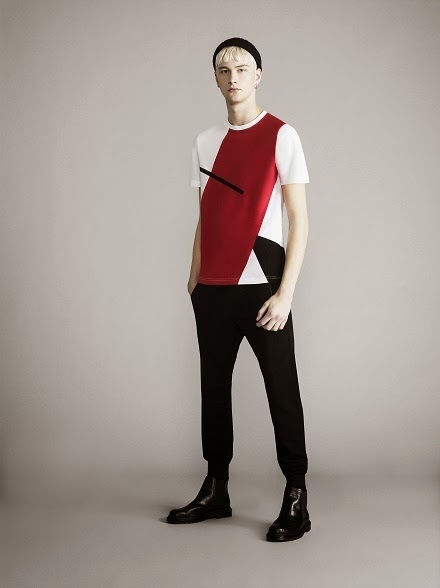 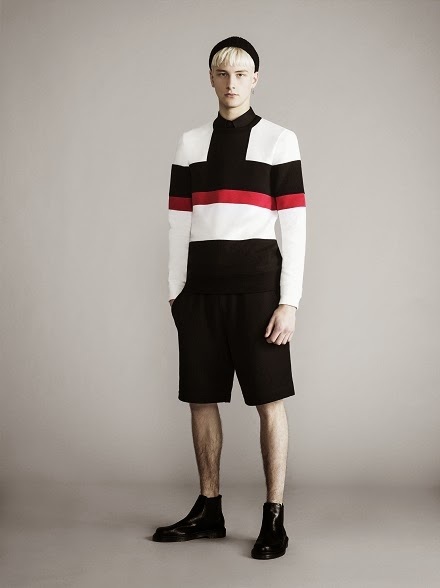 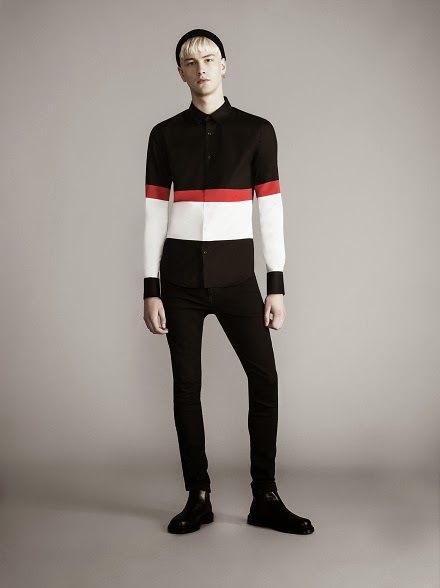 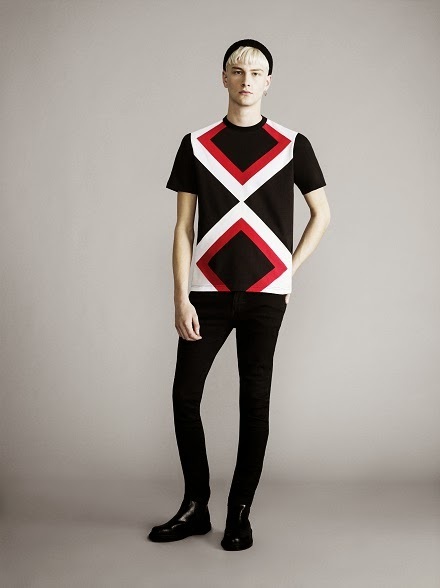 <Tri-Colour> Building on geometry this season featuring irregular balanced cuts and its signature bold tri-colour pallet this season in black, white, and true red, this is extremely visual and recognizable for the brand. 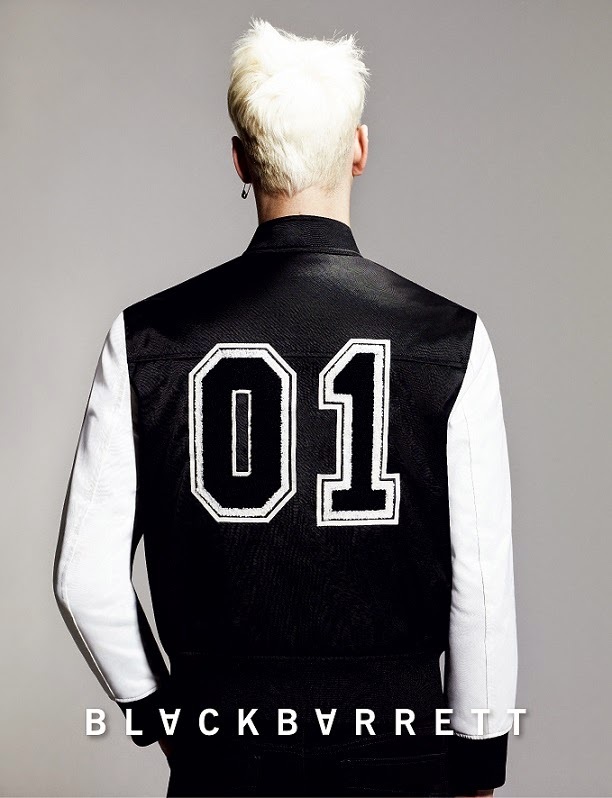 A chopped and reconstructed varsity number is added as a singular motif.